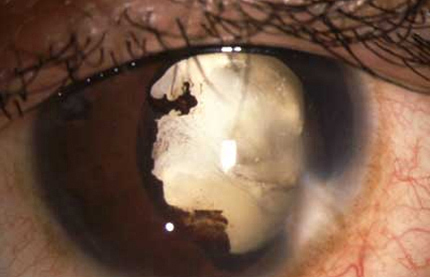 Cornea injected with black ink, followed by the application of platinumchloride to create the shape of a pupil. ● Vitamin A deficiency. Due to poor nutrition which is common in underdeveloped/developing countries. ● One of the oldest known treatments for cornea damage is tattooing. Galenus already described a method for colouring white spots in the cornea black. 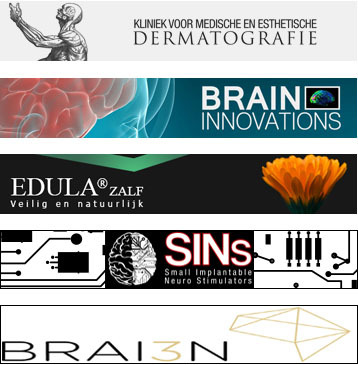 Keratography was practiced by E.M. van der Velden at the Oogziekenhuis in Rotterdam (1995-2008), the Ludwig-Maximilian University (Ophthalmology) in Munchen (1996-2012), the Tilganga Eye Centre in Kathmandu in Nepal and the Clinic for Medical and Aesthetical Dermatography in Arnhem, The Netherlands.